Notes: Sorel Liqueur from Jack from Brooklyn is not only a small batch product, it is a surprisingly perhaps refreshingly, small company of 4 talented individuals working in a small pre civil war building in Brooklyn. 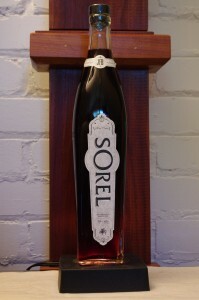 Sorel itself is an interesting mix of ingredients, Brazilian cloves, Indonesian cassia, Nigerian ginger, Moroccan hibiscus, pure cane sugar, and organic New York grain alcohol. 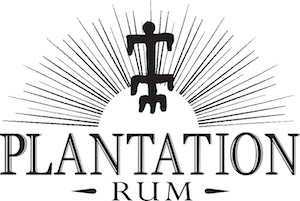 The partners developed this traditional Jamaican style libation from a homemade recipeto a commercial and shelf stable liqueur ( not an easy undertaking in/on many points) The short form on how it’s done: They do a flavor extraction on a proprietary mix of exotic spices, and add pure cane sugar. 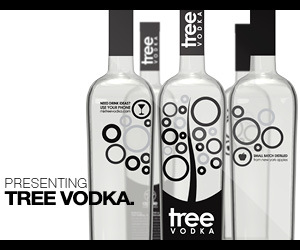 They source the finest organic wheat base grain spirit , (as they believe wheat adds the creamiest texture market has to offer), ( which by the way is from New York State to boot making it organic and somewhat locovore) and mix the extract with the organic grain alcohol to reach their target proof . Batches are then racked and cold-filtered, then bottled and labeled. Total time from start to finish: 48 hours. First Impression: Lovely spicy floral bouquet, with hibiscus, clove, ginger, cinnamon, citrus aromatics with very nice cassia, pepper and slightly bitter notes all blending in for an overall intriguing and pleasing tease for your nose. Taste: A very interesting melange of spices with the cloves and hibiscus taking the forefront and the cassia and ginger backstopping the sweetness and adding some bitter and a little heat to balance out the sweetness. Drinks: While not as aggressive as a pimento liqueur and far more floral it works well for a number of cocktails calling for Pimento Dram, and is also a lovely swap out for maraschino liqueur especially in a Last Word Cocktail , or use it instead of Creme Yvette or Creme de Violette but in both cases you will get much more flavor forward notes. Bottle: Tall clear glass, rectangular base with curved sides tapering at the shoulder to a round neck.Label and graphics are tastefully done,resembling antique type labels.Small neck collar label with clear plastic neck wrap topped by a black plastic cork ( seals aroma in better than a natural cork) imprinted with JFB in bronze/gold letters. Final Thoughts: An entirely different form of liqueur from most things you have ever encountered combining floral,herb and spice notes in some very interesting if somewhat challenging ways. Think of this as somewhere between a Pimento Dram, Cherry Heering, and a ginger liqueur. While not as aggressive as a pimento liqueur and far more floral and delicate by comparison.